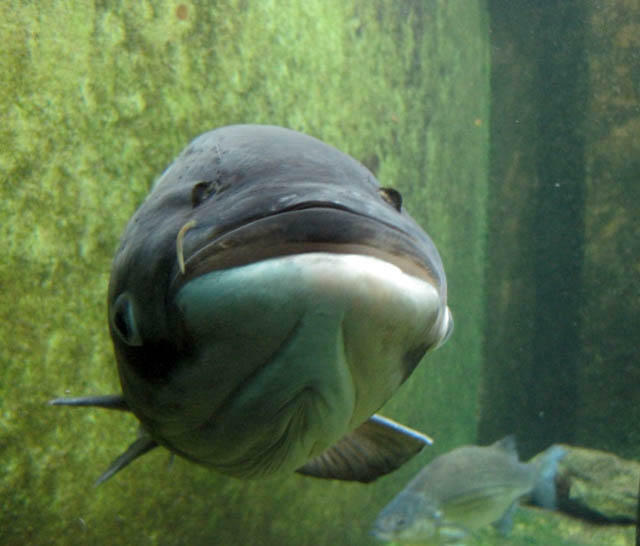 Asian carp can grow to weigh up to 100 pounds. Wildlife managers could have a harder time controlling spawning Asian carp, if they escape into the Lake Michigan from Chicago-area shipping canals. That's according to a report released by the U.S. Geological Survey. Elizabeth Murphy is a hydrologist with the USGS. She co-authored the study. Murphy says new data shows fertilized Asian carp eggs can incubate in waterways that are only 16 miles long. That’s a lot less than the 62 miles scientists thought the drifting eggs needed. “That was a big surprise. If you’d asked me… I would’ve said ‘no I don’t think something could spawn and then hatch in that length of river.’ But it looks now from our study that it could,” Murphy said. Murphy says the asian carp eggs could also survive in slower moving conditions than previously thought. 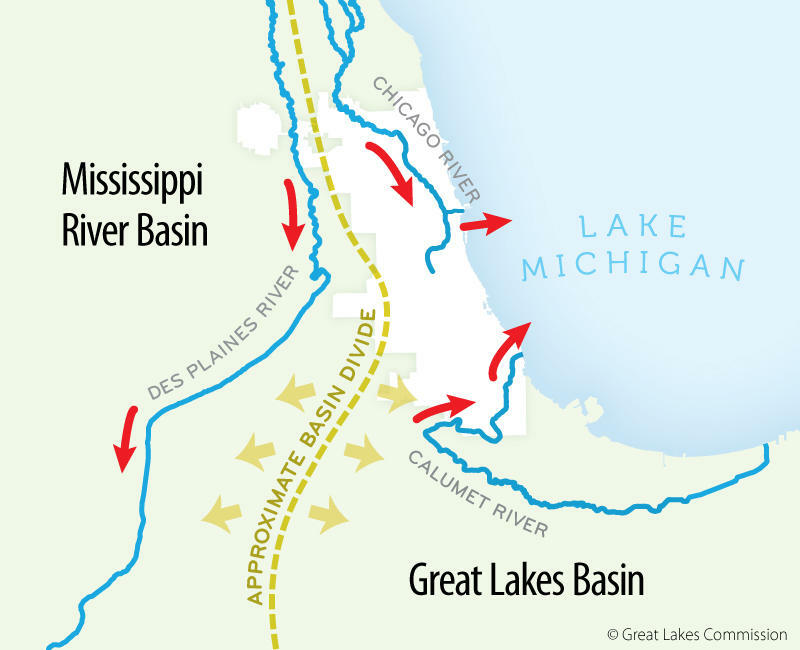 Colder temperatures of rivers that empty into the Great Lakes would be a factor in the eggs’ survival. But Murphy says the research shows the eggs could survive given the right conditions. She couldn’t say exactly how many rivers in the Great Lakes region could serve as spawning grounds for Asian Carp if they escape Chicago-area waterways. But she says it’s likely ten times the number experts had previously predicted. She says it’s bad news for those responsible for making decisions about Asian Carp. “They’re just going to have a lot more rivers where spawning can take place and it’s going to be a lot harder to control,” Murphy said. “The U.S. Geological Survey is a science agency. So we put the science out there and we hope it helps people make more informed decisions in the future,” Murphy said. Experts worry the carp could potentially out-compete native fish for food and threaten the lakes' $7 billion fishing industry and ecosystem. An interview with Duane Chapman, a research fish biologist with the U.S. Geological Survey. The Council of Great Lakes Governors met this past weekend on Mackinac Island. The group talked of economic cooperation, and harmonizing plans for protecting the largest body of freshwater on the Earth’s surface. The discussions were mostly nice, but there were some disagreements, especially when it came to dealing with invasive species like Asian carp. 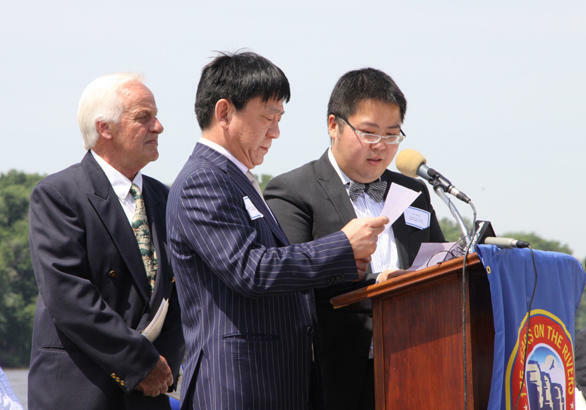 Rick Pluta filed a story on their meeting, and we also got an update on where things stand with Asian carp. We spoke with Duane Chapman, a research fish biologist with the U.S. Geological Survey. 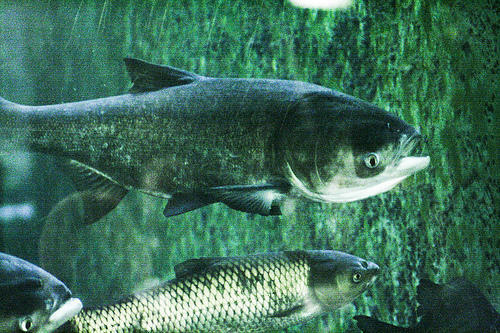 Chapman said that there have been three Bighead carp that have been caught in the Great Lakes, but not since 2000. Listen to the whole story to find out where the most recent DNA has been found in the Lakes, and how it got there. To hear the story, click the audio above. 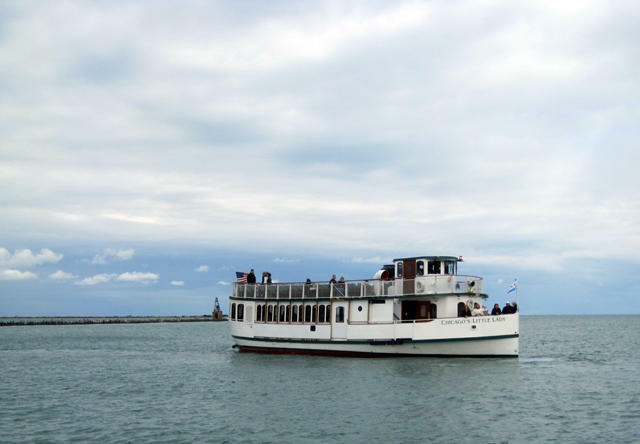 The Great Lakes governors are meeting this weekend on Mackinac Island. 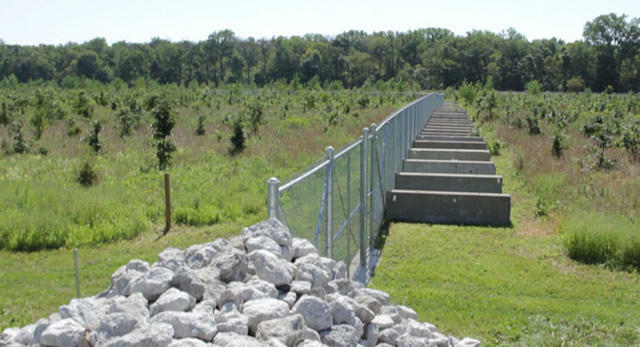 There may have been a small breakthrough on a plan to deal with the threat of Asian carp spreading into the lakes. There’s been some tension among the Great Lakes states over what to about Asian carp spreading from the Mississippi River system to Lake Michigan. The two join at a shipping canal in Chicago. The Great Lakes Council of Governors agreed to adopt a common strategy to fight the spread of invasive species. 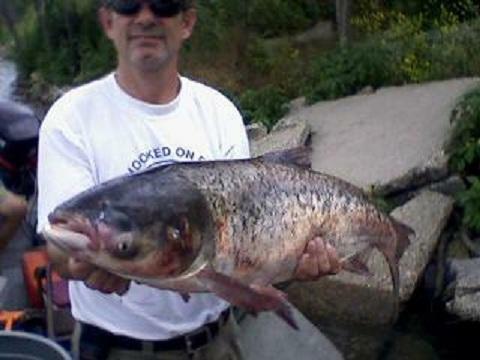 A new study claims there is evidence that a small number of Asian Carp have reached the Great Lakes. 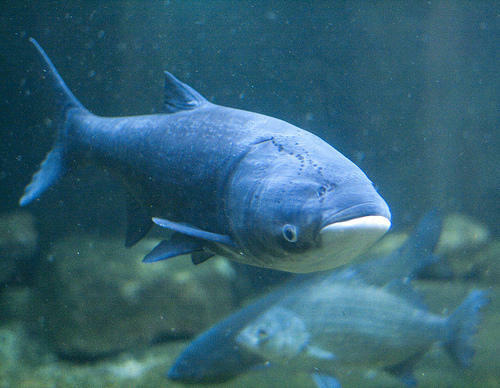 Asian Carp is an invasive species that could potentially damage the Great Lakes environment and seven billion dollar fishing industry. The paper released Thursday was written by scientists with the University of Notre Dame, The Nature Conservancy and Central Michigan University. It summarizes findings from a two-year search for the carp in and around the Great Lakes. You can listen to the Environment Report here or read the story below. You've probably seen those YouTube sensations: the jumping carp. Silver carp are the jumpers. If there are a lot of them packed in shoulder to shoulder in a river channel... it can be dangerous. The question that's on a lot of people’s minds now, is what will happen if Asian carp get established in the Great Lakes. As the nation’s civic leaders search for a permanent solution to keep invasive Asian carp from spreading, other parts of the country are betting on the carp’s future. Across the Mississippi Valley, fishermen and exporters are teaming up to develop the market for carp, and carp products. Some people hope that selling carp might be the best method for checking their expansion. 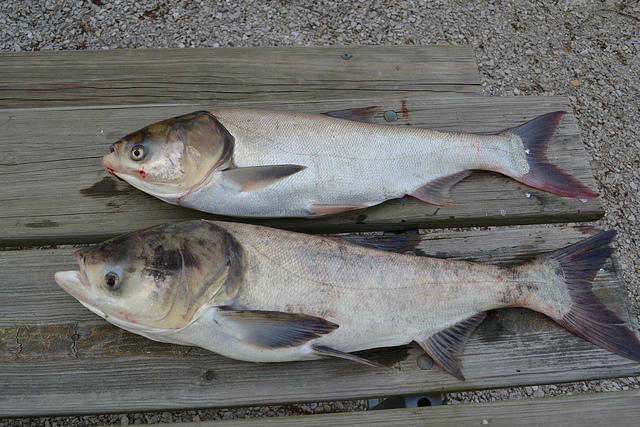 In all likelihood the fish Marquette was talking about were channel catfish, but nearly 340 years later fisherman Josh Havens says it’s bighead carp... and silver carp which now harass boaters on the Illinois (silver carp are the jumpers).